Hotel Novecento is located in the fascinating baroque town of Scicli which is part of the Unesco site Val di Noto. It is dipped in the charming atmosphere of this south-eastern Sicilian corner and surrounded by Medieval and 900s architectures. Scicli is also a very interesting places to visit from a naturalistic point of view being located between two valleys (San Bartolomeo and Santa Maria La Nova), between rocky hills (San Matteo, l Rosario and della Croce Hills) and a few kilometers from the sea. Hotel Novecento is the perfect starting point for discovering the other cities of Val di Noto (Modica, Ragusa, Noto), the archaeological sites Cava d'Ispica, Kamarina Caucana, Pantalica and the nature reserves Irminio, Vendicari, Pantani Bruno and Longarini. Created from the restoration of a late 800s palace, Hotel Novecento is today a charming 4-star accommodation. It houses 9 rooms, a reading room, the Caffè ‘900 and each space features original frescoes and a modern style which blend Art Nouveau, Bauhaus and characteristics of the early twentieth century. 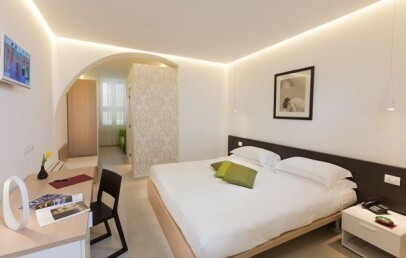 All rooms are simple and elegant and offer all comforts. They are equipped with soft linen bed sheets and towels, air conditioning and heating, Wi-Fi, TV with SKY, minibar and safe. The buffet breakfast is served in a cosy and dedicated living room and consists of sweet and savory plates made only with local products. Guests are also welcome to the bar of the hotel "Caffè ‘900". It has a direct access from the hall and is opened all day. The Hotel offers to its guest several additional services, available on request: cooking lessons, enogastronomic tours, massages, internet point, excursions, h24 room service and bike rental. Comfortable double/triple room located in the ground floor and with direct access to the hall and to the bar. It provides soft bed sheets, modern comforts and it is ideal for disabled people. The en-suite bathroom has shower, hair dryer and complimentary toiletries. The Classic room face the courtyard. 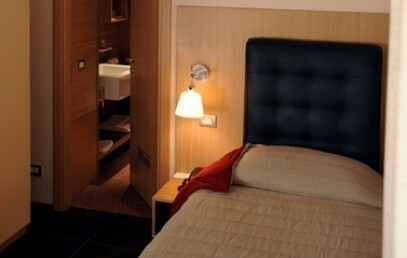 Comfortable double room located in the ground or first floor. It provides soft bed sheets, modern comforts and en-suite bathroom with shower or tub, hair dryer and complimentary toiletries. The Superior rooms face the courtyard. 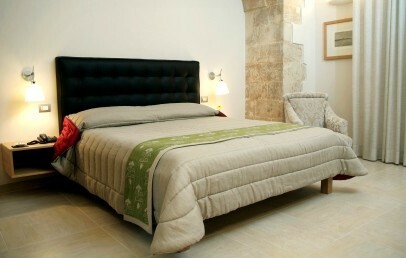 Comfortable double room with original frescos ceiling located in the first floor. 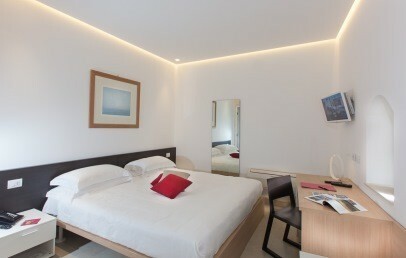 It provides soft bed sheets, modern comforts and en-suite bathroom with shower, hair dryer and complimentary toiletries. The Deluxe rooms face a balcony with old town view. 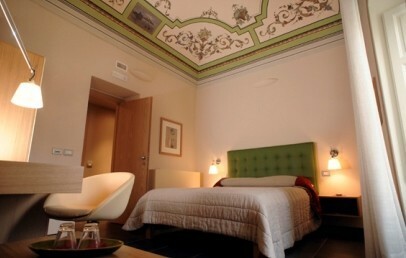 Exclusive and large junior suite with original frescos ceiling located in the first floor. It provides soft bed sheets, modern comforts and consists of double room, separated living room with sofa bed and en-suite bathroom with bathtub, hair dryer and complimentary toiletries. The Junior Suite faces three balconies with old town view. 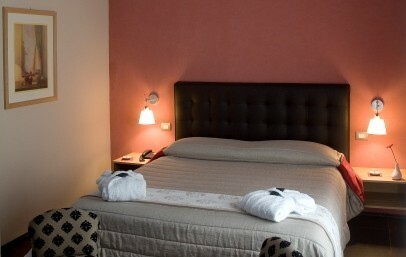 Comfortable single room with original frescos ceiling located in the first floor. It provides soft fine linen bed sheets, modern comforts and en-suite bathroom with shower, hair dryer and complimentary toiletries. The Deluxe rooms face a balcony with courtyard view. Only for Charming customers: a small Welcome gift upon arrival (typical Sicilian chocolate).